The MIDI editor in Pro Tools 8 is one new feature that has certainly been turning heads, especially those of other "sequencer heavy" DAWs. 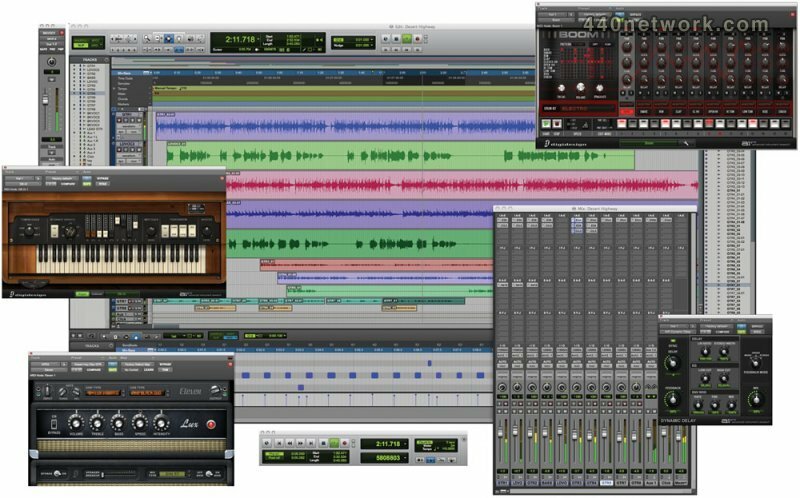 While many users have been making comparisons to Logic's flavor of MIDI editing, the Pro Tools MIDI editor features a few unique tricks that are sure to speed up your sequencing workflow. This week at the Pro Tools Corner I will walk you through the basics of the MIDI editor and help you unlock the true sequencing power of Pro Tools 8. First off, if you are worried that your current MIDI workflow isn't going to translate in Pro Tools 8, fear not. You can still work with MIDI data in the edit window just as you had in Pro Tools 7 and earlier, but once you experience the MIDI editor you probably won't want to. To open a floating MIDI editor: With the MIDI or Instrument track view set to "regions," double-click with the grabber tool on any MIDI region or simply select a group of notes and choose Window > MIDI Editor. Note : double-clicking with the grabber tool in PT 7 and earlier brought up the "rename region" dialog, you can return this functionality in the MIDI tab of your preferences. To open a "docked" MIDI editor : Choose View > Other Displays > MIDI Editor. This will dock a MIDI editor at the bottom of the Edit window. If the windows "target" button is active (red), this docked editor will update dynamically as you select new MIDI data in the Edit window and can be resized vertically to the size of your choice. The "target" is the small square in the upper right-hand corner of a floating window. Hint : Save a window configuration of the docked MIDI editor to toggle it instantly. To read up on window configurations, check out this previous Pro Tool Corner article here. The beauty of the MIDI editor is that its toolset, zoom settings, grid resolution and edit modes are completely isolated from the Edit window. For example, you could be using the smart tool in grid mode with a resolution of 1 bar in your Edit window and have the pencil tool in slip mode active in the MIDI editor. Generally, all of the tools in the MIDI editor will work the same way as they do while editing MIDI in the Edit window, so you don't really need to learn any new edit tools, you just have get used to looking at MIDI in another window. Note : If you are used to using single key shortcuts with command-key focus, you will need to focus them to the MIDI editor while docked. Command-key focus is represented by the "a-z" button in the top right hand corner of the editor. Like the Edit window, The MIDI editor allows you to view additional MIDI/Instrument track data below the piano roll. By default, Velocity is shown but additional lanes can be shown or hidden by clicking the "plus" or "minus" icons. This can be very handy when you are editing multiple layers of CC data. To quickly switch the editor into score view, simply click on the score button at the top left hand corner of the editor. By default, the MIDI editor shows only the selected track's MIDI data. By using the track show/hide list attached to the MIDI editor, you can actually view MIDI data in overlapping layers. Think about editing multiple tracks of MIDI drums within a single piano roll and you will understand the power of this special feature. The black dot to the left of the track name represents the track's show/hide status, while the pencil to the right lets you know which track you are currently editing. When you work with MIDI in layers, by default each layer will be represented by its region color. Because many times you may have regions that are the same color, the MIDI editor features two alternate color-coding options for notes. Regardless of track color or region color, this option will assign a different color to each note layer in the MIDI editor. This helps when two tracks have the same region color. This option will color code notes based on their velocity. Darker colors represent higher velocities. You can set all MIDI notes to color code by velocity automatically within system preferences, under the "Display" tab. You can set custom scrolling options in the MIDI editor using the discloser triangle at the top right hand corner of the editor. Just like the edit window, you can view additional ruler displays (like meter, tempo, etc). While it might take you a little time to adjust to editing MIDI in a different window, I think you will find that the new editor makes working with MIDI in Pro Tools much more efficient and intuitive. In the past, I would always have trouble getting the correct level of horizontal, vertical zoom and octave range on my MIDI tracks, the MIDI editor has completely eliminated these navigational inefficiencies for me, and with a little practice I think it will for you as well.